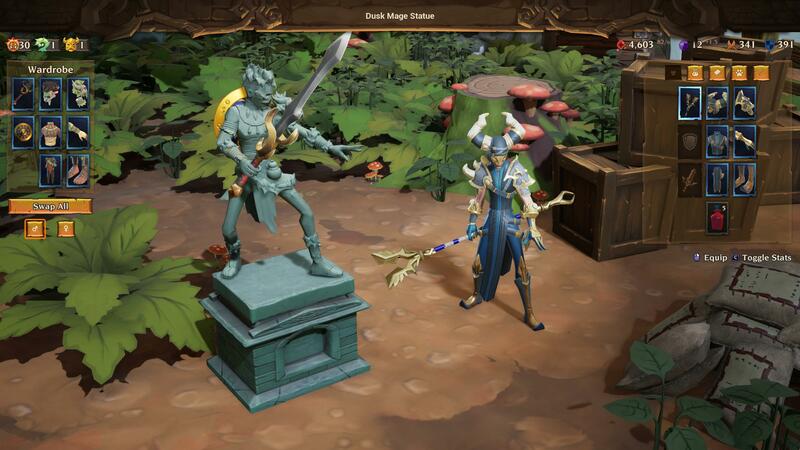 Torchlight Frontiers‘ gameplay significantly revolves around getting the right gear set for the right dungeon, or frontier. During the two closed alphas, many players mentioned that the act of swapping entire sets of gear wasn't practical. Now, Echtra Games has revealed what they have been working on to solve this issue: Wardrobes. With these, you can place and swap your favorite gear sets, and they also look cool and can be the envy to anyone who visits your Fort. This should be a significant quality of life improvement for Torchlight Frontiers, and is still subject to change. Instead of the pedestal that you see below, you may end up seeing chess pieces, fountains or ancient statues. As usual, the Torchlight Frontiers community will surely stick up to their preferred style.